It's A Dan's World: RUMOR MILL CHURN: Robin To Be In Dark Knight Rises? RUMOR MILL CHURN: Robin To Be In Dark Knight Rises? Ain't It Cool News has to be the worlds most redundantly self-titled website. Case in point; they are pointing to WILX who claim that sources currently scouting in Michigan for Dark Knight Rises locations are considering the area as a hideout "for Batman sidekick Robin". While I've blogged before on why Robin is no ones appendage, this is great news to a guy who has always felt Robin can work in the Nolan movie-verse, given the same grounding given the other chosen Bat-characters and their rationale. Plus it makes the recent addition of Joseph Gordon Levitt make a hell of a lot of sense - just look at him! With Bane already named as a villain, this also sets up a possible storyline of having Bane break the back of the fugitive Batman, and Selina Kyle and Robin being a part of those who step in to fill the void - just like in the epic comic storyline Knightfall. 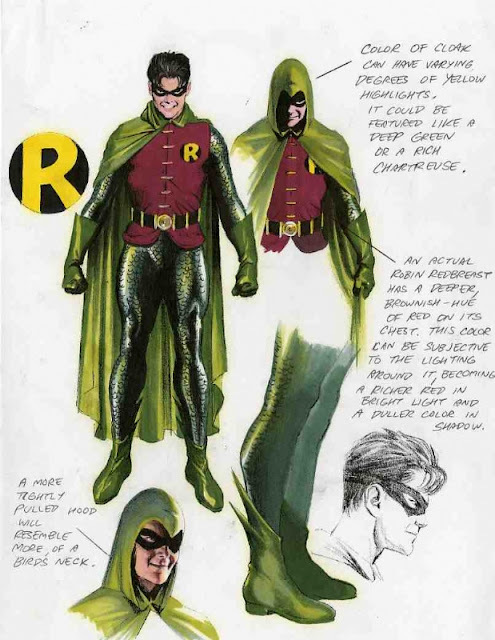 Bypassing Robin's origin and bringing him on stage as an already established hero could be a controversial move, but deffinitly one that has alot of potential. I try to leave rumours off IADW, but when they get the grey matter churning as much as this one, even taken with a grain of salt, it's hard not to 'just imagine' a little. If this truly is the final Nolan/Bale Batman movie, introducing Robin would be a hell of a springboard for another movie. 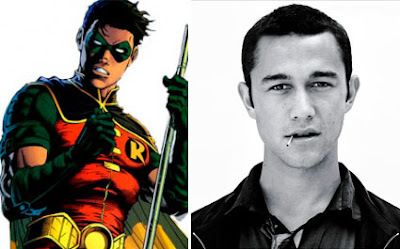 I'm not sure I want to see a Robin in this series, but JGL would be a great choice if they went that way. If is really true i think JGL will be a perfect fit to be Robin. ...or Nightwing or Azrael. Any one of them would work just fine. I agree IFF, he's really come into his own as an actor. I thought he was great in Inception. I'm thinking he may be doing a villain cameo. That's my official guess. I swear Craig if it's The Riddler in the closing scenes the whole world will hear my scream over the 'final' film! As Robin I think he would be brilliant - I'd love it to be a movie version of Nightwing, but I don't know if DC would make that bigger jump in one film. A Robin film following the Batman trilogy of the Nightwing evolution though like Rob suggested would be kinda cool! Ooooh...I could like him in that role...but I'd like to see him as Robin first. I could see why they'd jump directly into Nightwing from a fangirl standpoint. But to the uncomicinitiated it would be quite a jump. Robin is still a much bigger name. The news some months ago were that he'd be the Riddler which I would have liked, but it seems there will be no Riddler.